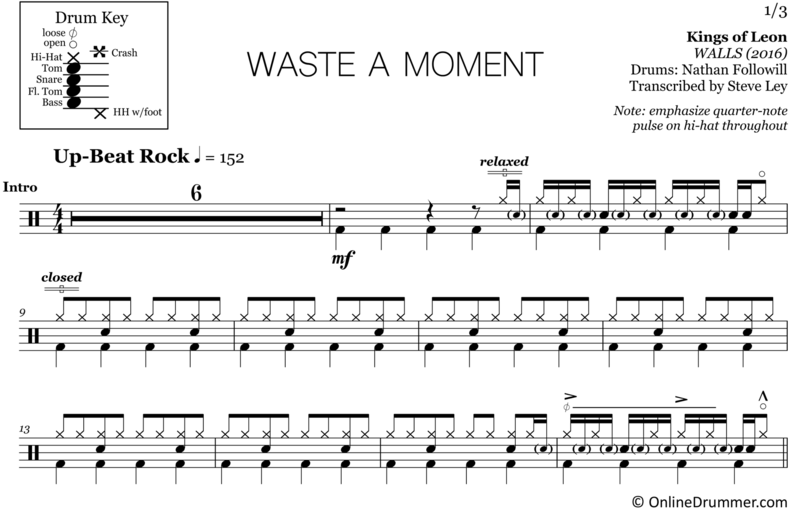 The full drum sheet music for “Waste of a Moment” by Kings of Leon from the album WALLS (2016). Blending an up-beat four-on-the-floor with seemless, sixteenth-note fills, Nathan Followill’s drum part to Waste of a Moment keeps the crowd energized and having fun. Followill’s lively hi-hat dynamics and articulations are a perfect example of tasteful expression and playing “for the music.” This is an all-around fun song to play on the drums. 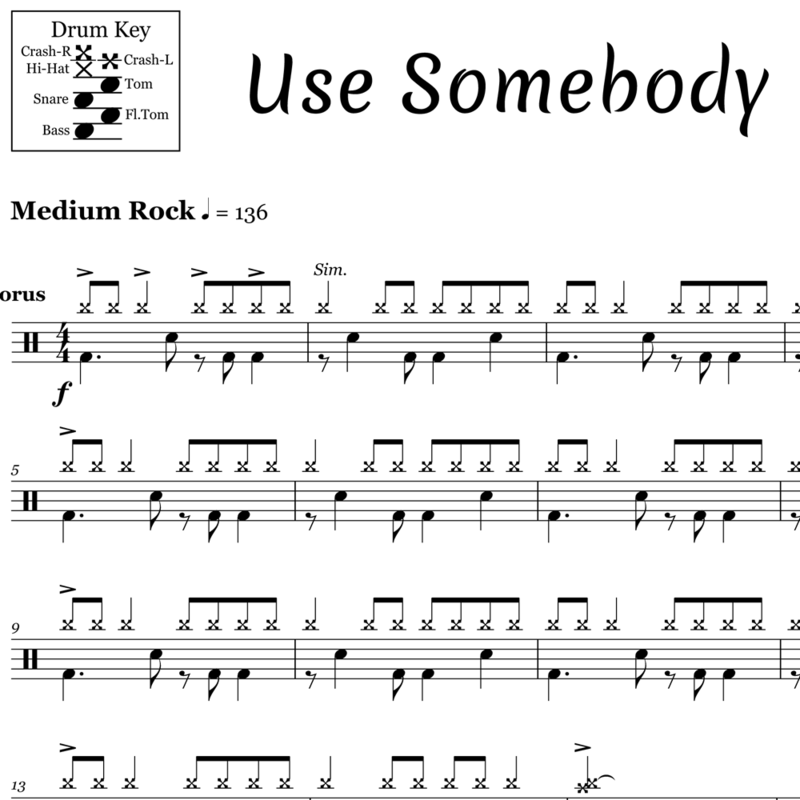 The full drum sheet music for "Use Somebody" by Kings of Leon from the album Only by the Night (2008).